Maysa Leak is a jazz singer better known by her mononym Maysa. She is well known by fans both for her solo work and for her work with the British band Incognito. Maysa was born in August, 1966 in Baltimore, Maryland. After high school she studied music at Morgan State University in Baltimore City and graduated with a degree in classical performance. There she performed as a member of the world famous Morgan State University Choir under the direction of the late Nathan Carter, Maysa met performer Stevie Wonder during a college performance. After receiving her degree from Morgan State University, Maysa headed to Southern California to perform with Stevie Wonder’s female backup group Wonderlove, while with Wonder, Maysa was a vocalist on the Jungle Fever soundtrack and performed on numerous television shows. 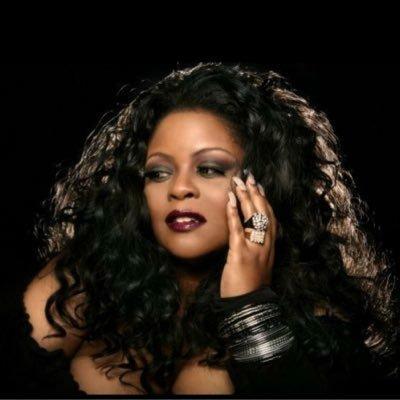 In the early 90s, Maysa become a member of the acclaimed British jazz/funk/R&B band Incognito and in 1992 she relocated to London and recorded Tribes, Vibes & Scribes, featuring the hit single "Don't You Worry 'Bout A Thing." Since then, Maysa has appeared on over seven Incognito recordings. Maysa recorded her self-titled debut in 1995, followed by her second album All My Life in 2000, Out of The Blue in 2002, Smooth Sailing in 2004, Sweet Classic Soul in 2006, and Feel The Fire, 2007. In 2008, Metamorphosis peaked at No. 1 on Billboard's Top Contemporary Jazz top 100 chart and No. 13 on Top R&B/Hip-Hop Albums. In 2010, "A Woman in Love", Maysa's 8th Solo CD debuted at No. 1 on the Contemporary Jazz Charts. Maysa's 9th solo album, Motions of Love, released in November 2011, debuted at No. 1 on Billboard's Contemporary Jazz Charts and Number 7 on the R&B charts. Maysa Leak was a spokesperson for respiratory syncytial virus (RSV), a disease that can be fatal to premature babies. She appears in RSV PSA commercials, with her son Jazz, sponsored for the March of Dimes.